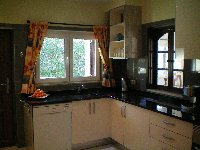 Casa Almanxar is situated approximately 40 minutes from Faro Airport, convenient to one of the prettiest villages in the Algarve. 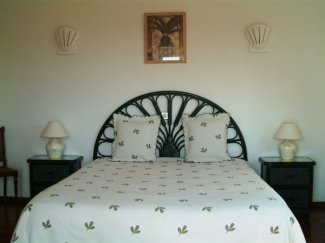 It is ideally suited to one or two families and available to rent as either a 3 or 5 bedroom villa. All amenities are close by. Beaches-3 mins. Golf (9 hole)-2 min. Golf (2x18 hole)-5 min. Tennis-5 min. Also water parks 5-10 min. The new Autodromo (Algarve Motor Park) is approx 20 min. Lisbon and Seville approx 2 hours. Above times by car. There are many cafes and restaurants within easy walking distance. 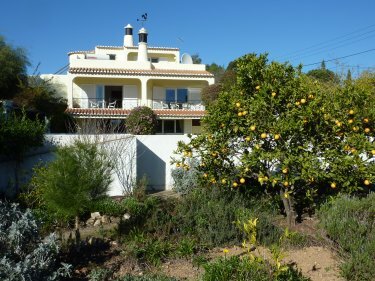 The Villa has ample parking for several cars and has a large private garden and heated pool. 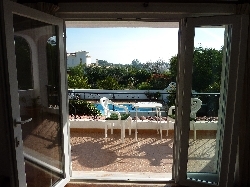 There is a shaded terrace overlooking the pool and garden and a roof terrace for views and sun as well as several external shaded and seating areas. There is also a lawn area adjacent to the barbecue. 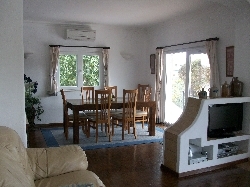 The Villa is available as a 3 or 5 bedroom villa. 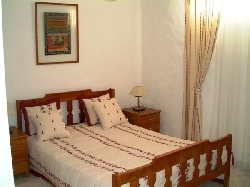 The 3 bedroom sleeps 6 while with the adjoining self contained apartment (with lounge, kitchen, 2 bedrooms and 2 en-suite bathrooms), sleeps an additional four. 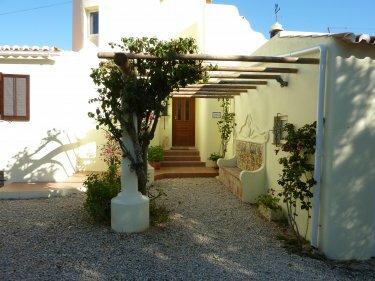 The Villa is only available as a 5 bedroom property between 18 July and end of August. 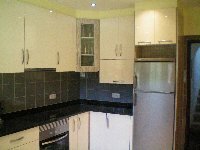 At other times it is available either as 3 or 5 bedroom property. 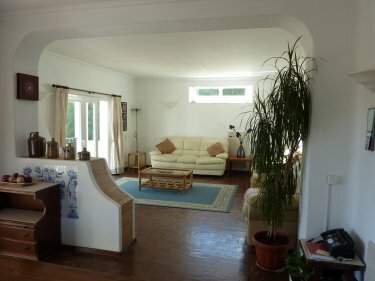 The property has partial air conditioning and free Wi-Fi. Maid visits twice per week. Phone (incoming and local calls) � no charge. 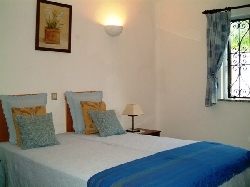 All linen and towels supplied (except beach towels).